Girona celebrates one more year the European Day of Jewish Culture (EDJC), a project promoted by the European Association for the Preservation of Jewish Heritage (AEPJ) that arrives this year to the nineteenth edition. The Day has two main objectives: to show the cultural heritage and the Jewish legacy and to make the citizenship aware of the importance of its preservation. 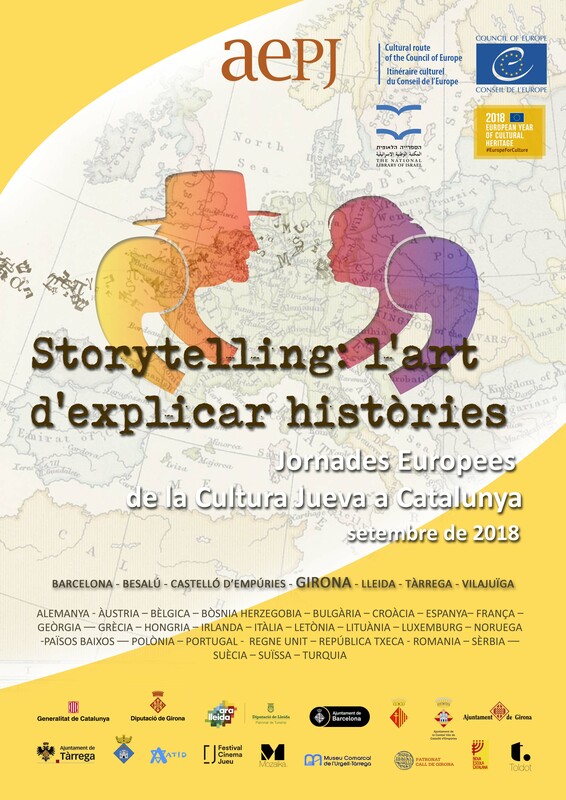 The theme chosen this year is "Storytelling".Through this topic we propose activities for all audiences: open doors in museums, synagogues and cemeteries, guided tours of Jewish neighborhoods, conferences, concerts, exhibitions and a series of diverse animations. The city of Girona, through the Call of Girona Board, has participated in the JECJ since the first edition. One of the activities that have been scheduled is a theatrical representation of the lives of some of the illustrious people who lived in our city years ago. The Day has the support of the Council of Europe, which welcomes the initiative under the program of Cultural Routes of the Council of Europe.